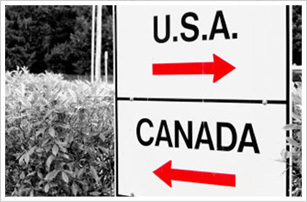 Why come to Canada for residential addiction treatment? You have taken the most important step in your life and have finally decided to come to a residential addiction treatment facility. Your next step is finding the right treatment center that suits your personal needs. Why not come to Canada? Let Sobriety Home help you in your journey towards sobriety, assisting and advising you every step of the way. 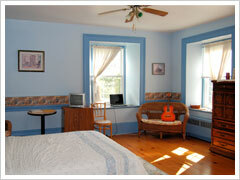 Sobriety Home is an in-patient addiction treatment facility located a short drive from Ottawa. We are only ten minutes from the New York state border and one hour from historic Montreal. We will be glad to assist you in making all the necessary arrangements and help you in every step of the way. Coming to a residential addiction treatment program can cause a good deal of anxiety and we want this experience to be relaxing and therapeutic so you can focus entirely on your recovery. Therefore, we are here to help simplify the necessary arrangements prior to your arrival. We can assist with all essential paperwork and formalities ahead of time, easing your border-crossing experience or international travel. Upon arrival, one of our staff members can pick you up at the airport, train, or bus station and drive you directly to our facility. Make Sobriety Home Your Treatment Home Away From Home! Sobriety Home helps many suffering from alcohol or drug addiction all across the globe. We continue to help many Americans who come to Sobriety for affordable high quality and accessible treatment. We have assisted many not only from the United States but from the Caribbean, Europe as well as Asia. Sobriety Home is located in an idyllic, quiet, serene country village. We are away from the stresses and temptations of city life, yet are equipped with all the amenities. We offer world-class addiction treatment programs at affordable prices. Most treatment facilities in the United States can be two to three times the cost of ours. In fact, a month at some U.S. facilities is the cost of Sobriety Home’s three month program! We are small in size. We have no more than 12 clients at a time. Smaller alcohol rehab, drug rehab program means more attention from our team of addiction professionals. The counsellor to client ratio is high which means clients are receiving the attention, care and counselling they need to achieve and maintain sobriety. Our residence offers beautiful and serene country-living with all of the comforts of a well appointed country inn. You will be provided a spacious, private room with an individual private bathroom affording you privacy through this difficult time. We provide wholesome local cuisine, gym and alternative therapies such as massage and yoga. Our Addiction Treatment Programs are designed personally for you to help meet your needs and goals. Our dedicated team of caring addiction professionals can help create a treatment plan that is best for you, whether it is more holistic in nature, an introduction to 12 Steps, or specific treatment for a concurrent disorder. Our goal is to help you achieve sobriety that is realistic and sustainable. We are still here for you even after you complete our residential addiction treatment program. Just because you complete your program at Sobriety and leave Canada does not mean that we are no longer here for you. Our aftercare program and post treatment plan can make the transition from rehab life to life in the real world easier. Our alumni services is a mouse click or telephone call away so you can stay in touch with others. We will always be here for you!